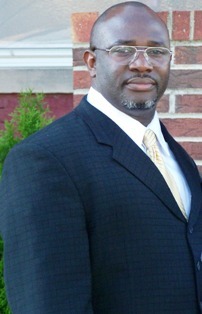 Dr. Clarence Bunch is a 2013 graduate of the PhD Program in Leadership & Change at Antioch University. Robert Greenleaf (1977) took a follower’s, rather than a leader-centric, point of view of leadership by describing a leader as one who leads by serving. He identified a leader as one who sets other people’s needs above his or her own. He argued that motivation of leaders must begin with the conscious choice to serve others. Greenleaf’s concept provides the basis for a theoretical model of servant leadership. This dissertation examines the extent to which African American pastors exhibit servant leadership characteristics, using the Servant Leadership Questionnaire (Barbuto & Wheeler, 2006). A sample of 358 African American pastors from 11 denominations across the United States was included in this study. This study uses a non-experimental quantitative approach to examine the behaviors and attitudes of African American pastors through Barbuto and Wheeler’s (2006) Servant Leadership Questionnaire, which has five factors (altruistic calling, emotional healing, organizational stewardship, persuasive mapping, and wisdom). The results of this study showed that African American pastors sometimes see themselves as servant leaders: that is, they fall into the middle range of the scale. Among various demographic variables, including age, gender, denomination, and years in service, a statistically significant difference in SLQ score was found only in size of church. Contrary to the study’s initial expectations, African American pastors reported highest subscale scores on persuasive mapping and not altruistic calling. This finding invites further qualitative research. The electronic version of this dissertation is available through the OhioLink ETD Center at http://ohiolink.edu/etd. Bunch, Clarence, "Servant Leadership and African American Pastors" (2013). Dissertations & Theses. 20.